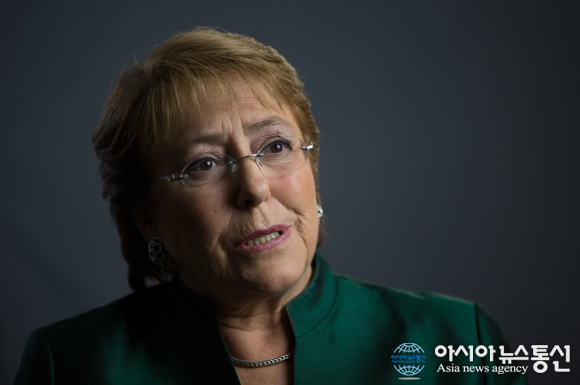 Jewish officials requested Chilean President Michelle Bachelet for the latter’s commitment to sign into law a bill that seeks to provide protection to citizens from acts motivated by arbitrary hate and discrimination. The meeting between President Bachelet and the Chilean Jewish Community delved on the significance that the Jewish community has been giving to the “Law Against Incitement to Violence.” A bill that seeks to reinforce the provisions of this law has yet to pass legislative deliberations at this point.The Chilean Jewish Community said that as a consequence of the absence of a clear and definitive statutory rule, there has been an increase in acts of discrimination, violence, and hatred in the country; and victims are left with no recourse. “Today it is gratuitous to insult a Muslim, a Jew, or an immigrant.Any minority can be violated and therefore it is a priority to have an update of the Anti-Discrimination Law, which is absolutely insufficient,” Shai Agosin, head of the Chilean Jewish Community said. Around 15,000 Jews reside in Chile.The country is also home to the largest Palestinian community outside of the Arab region, with more than 300,000 Palestinians. In April, the Palestinian Federation of Chile warned the country’s Jewish umbrella organization not to interfere with Israeli government’s decision to prohibit Anuar Majluf, an anti-Israel activist, from entering the Israeli territory.However, tensions mounted when Chile’s Jewish community had released its official statement supporting Israel’s ban on Majluf. Several occasions have led the Chilean Jewish Community to meet with President Bachelet over the proposed anti-discrimination bill.In January, a young Jewish and gay activist was attacked by three men who wore neo-Nazi emblems at a Santiago park.The victim was reported to have suffered several razor cuts as a result of the incident. A month after, a senior official of an organization linked to the Chilean government threatened to ban Israeli tourists from hostels in the country following the ejectment of an Israeli group from a Chilean national park.